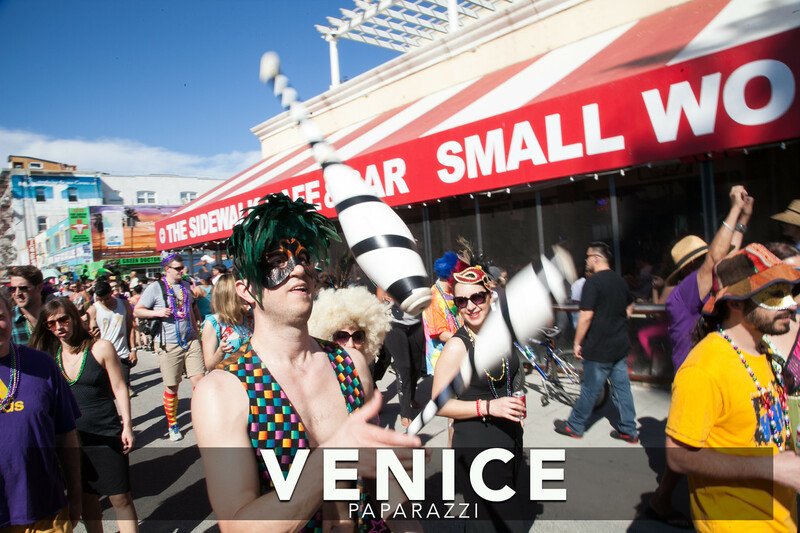 Get your costumes ready and join in on the Venice Beach Fun. 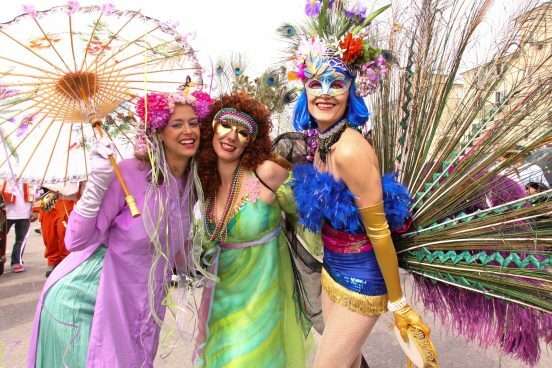 This year’s theme is Mythical/Rainbow – MAGICAL MYTHICAL TOUR. 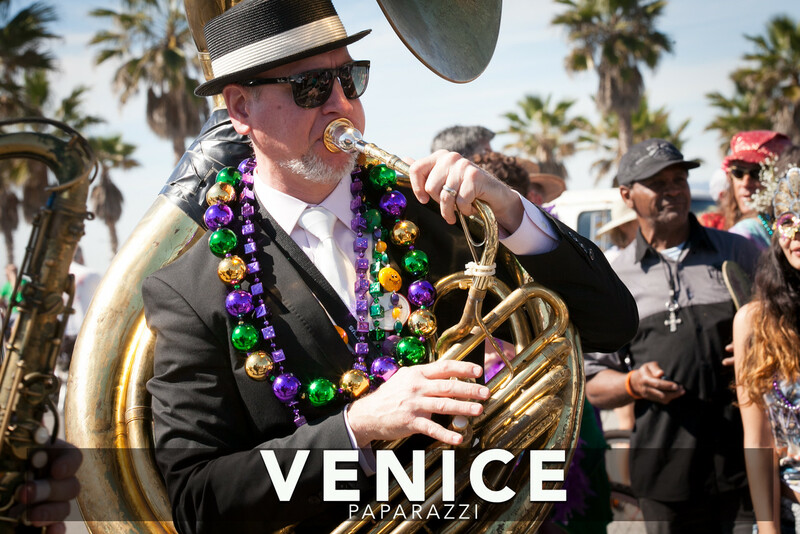 Venice Paparazzi will be on the scene at the after party at Surfside to catch all the action. 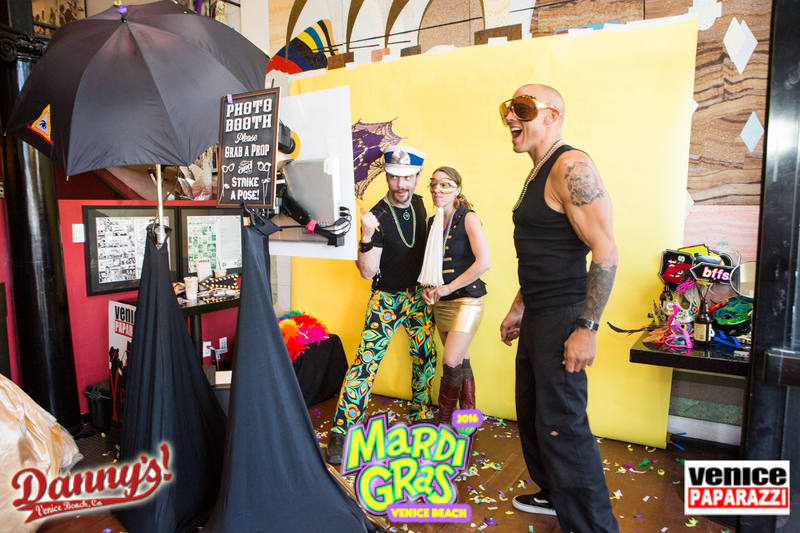 As well, the super fun famous Venice Paparazzi green screen photo booth will be set up with fun Mardi gras themed backdrops, props, and instant prints, text, and email. 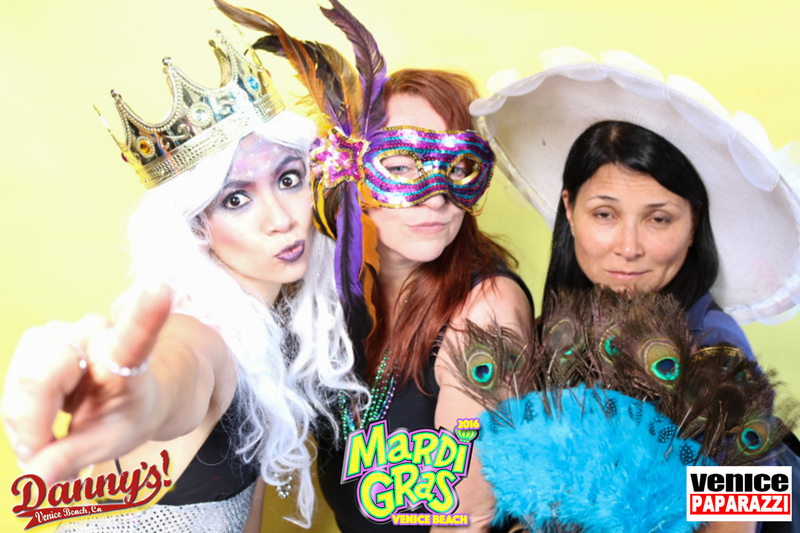 Thank you to Miss Jessica and The Gumbo Brothers for keeping the Venice Beach Mardi Gras Parade tradition alive for the last 17 years! 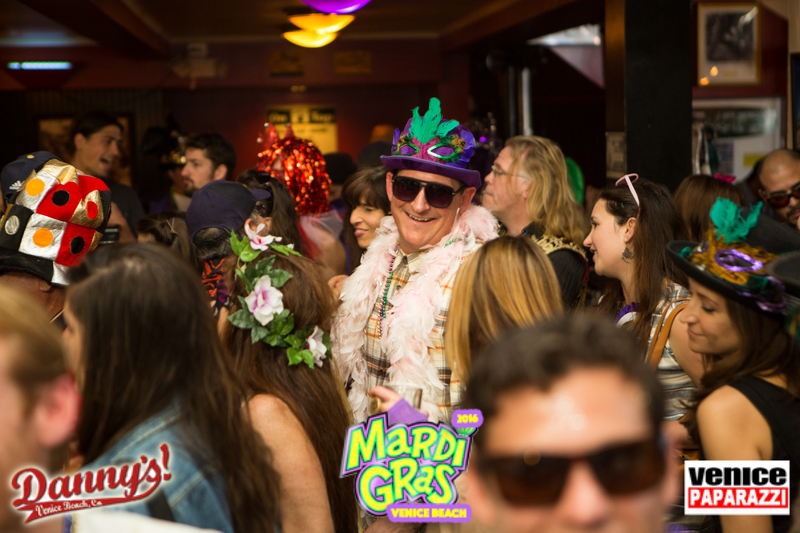 2:00-6:00pm After Parade Party at Surfside Venice, 23 Windward Ave.
3:00-6:00 The Gumbo Brothers and Friends Mardi Gras show! 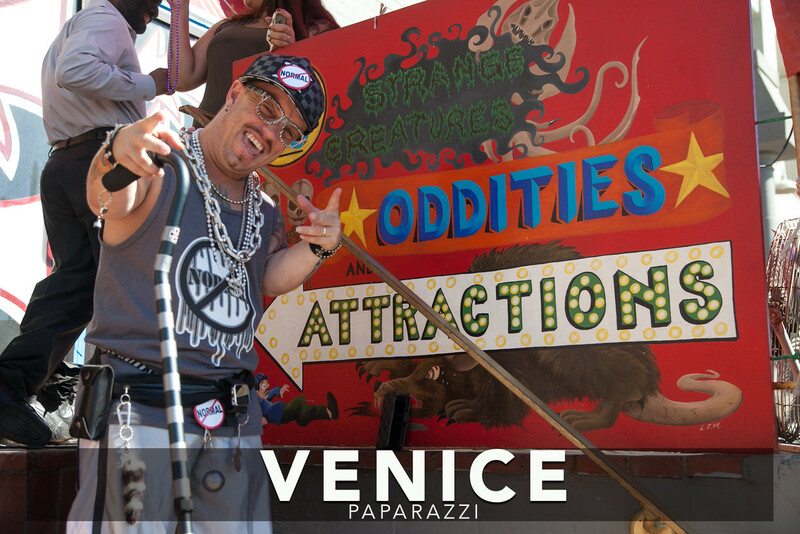 3-6 p.. Venice Paparazzi photography team and photo booth at the after party at Surfside. Following insert by Jeffrey Stanton. 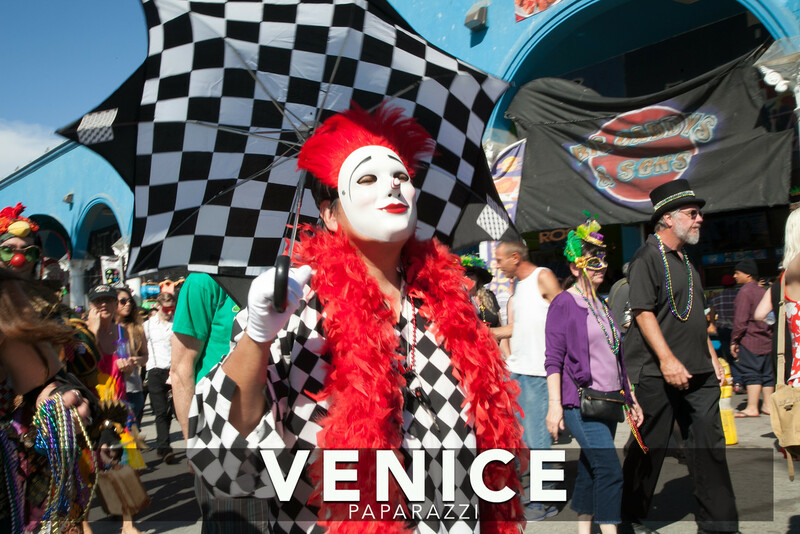 “Venice held its first annual Mardi Gras Festival August 16-18, 1935. 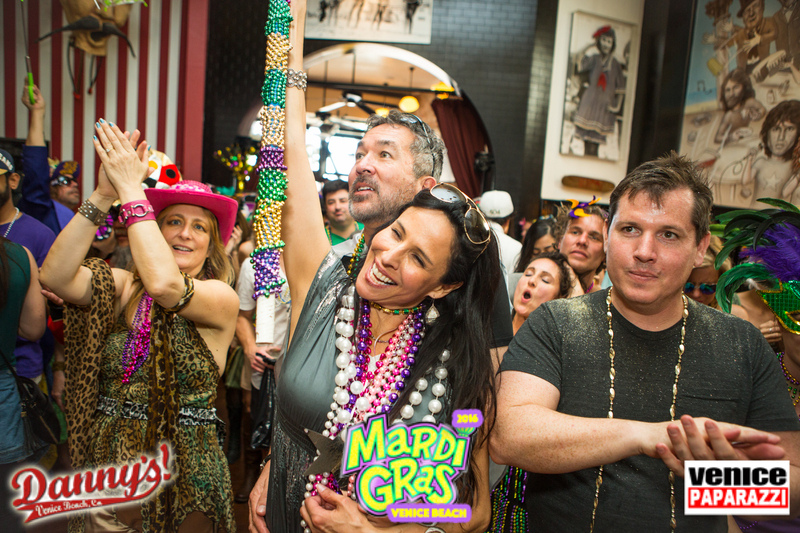 The three day event featuring parades, costumes, contests and entertainment, was modeled after the New Orleans event. 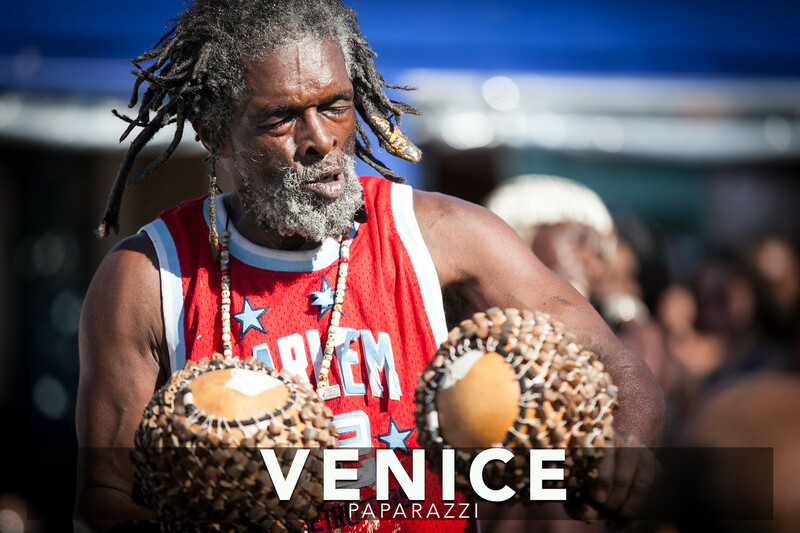 It began with the arrival of King Neptune in an outrigger canoe followed by Queen Venetia’s coronation and a royal procession along Ocean Front Walk. 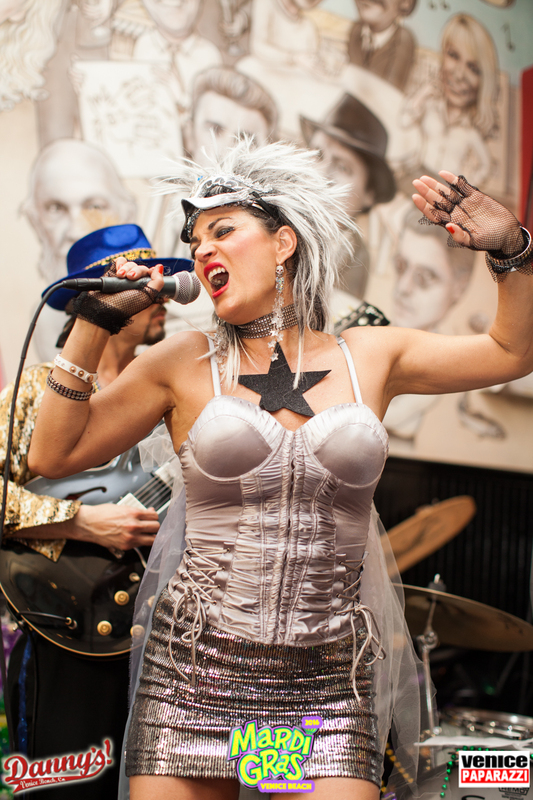 The queen read a proclamation commanding her subjects to engage in three days of fun and frivolity. The afternoon parade featured floats and costumed merrymakers wearing enormous plaster of Paris heads that were manufactured in Arthur Reese’s studio. 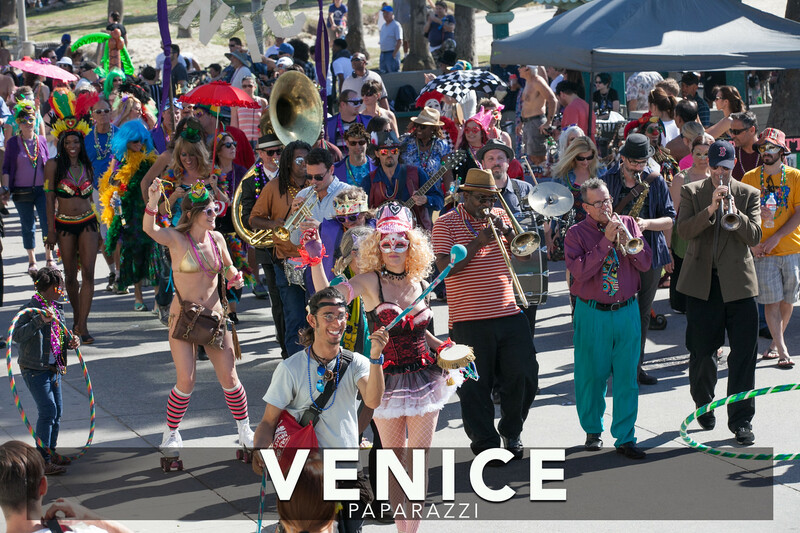 Windward Avenue was roped off for a street carnival where wandering gondoliers entertained. The parade included Keystone Cops and people wearing enormous plaster of Paris head gear. 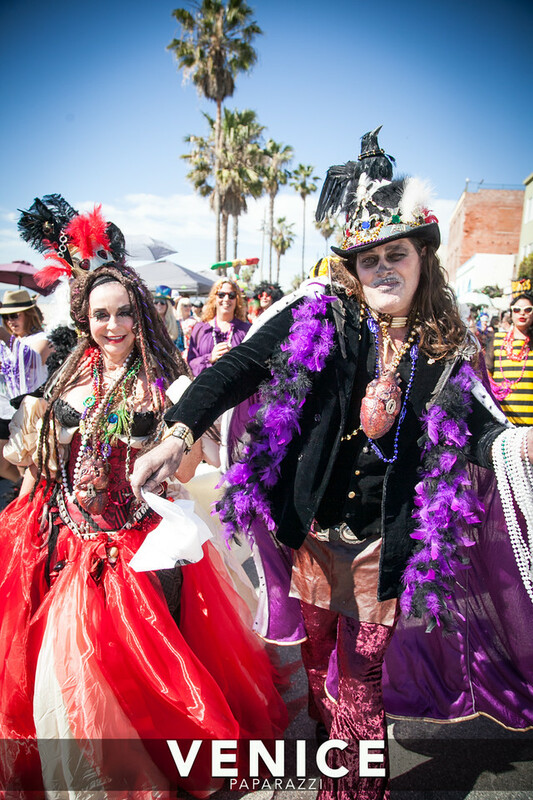 The king and queen’s float along Venice’s Ocean Front Walk. – 1938. There was an afternoon treasure hunt for children and an evening program of aquatic events on Saturday. Sunday’s Miss California beauty pageant drew huge crowds, and a Mardi Gras Ball in the evening capped the celebration. 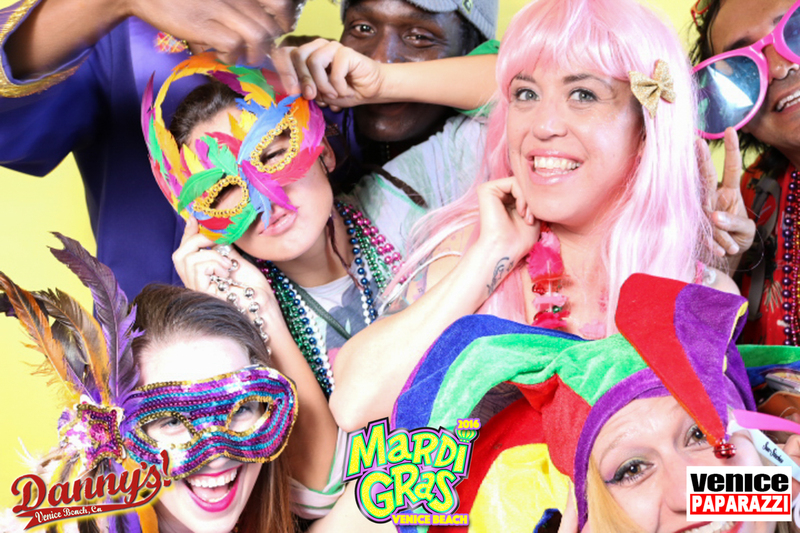 The Mardi Gras Festival became an annual event of considerable importance prior to World War II. It became bigger and better each succeeding year and civic pride improved. By 1941 five hundred thousand people attended the expanded four day event in its final year. 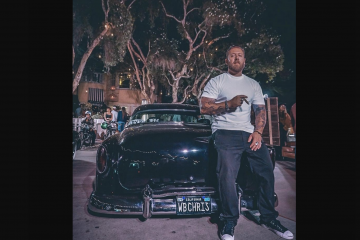 For more history on Venice, visit Jeffrey Stanton’s website. 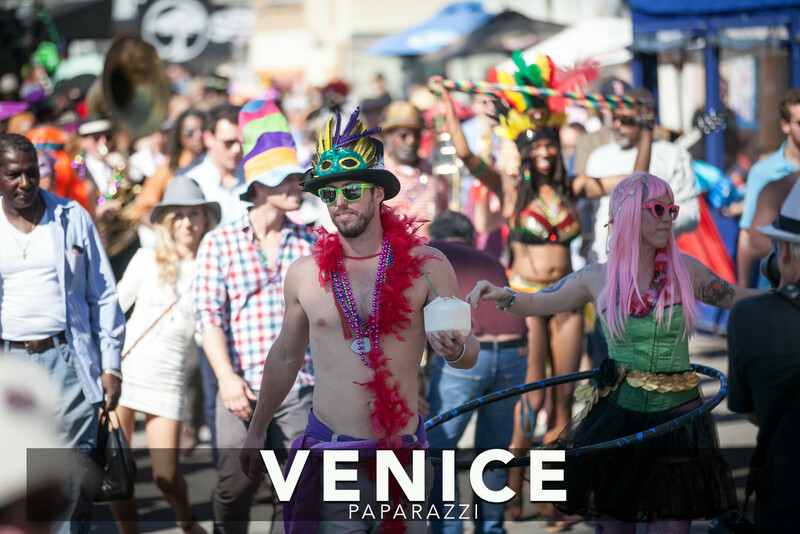 View past Venice Beach Mardi Gras photos by Venice Paparazzi. 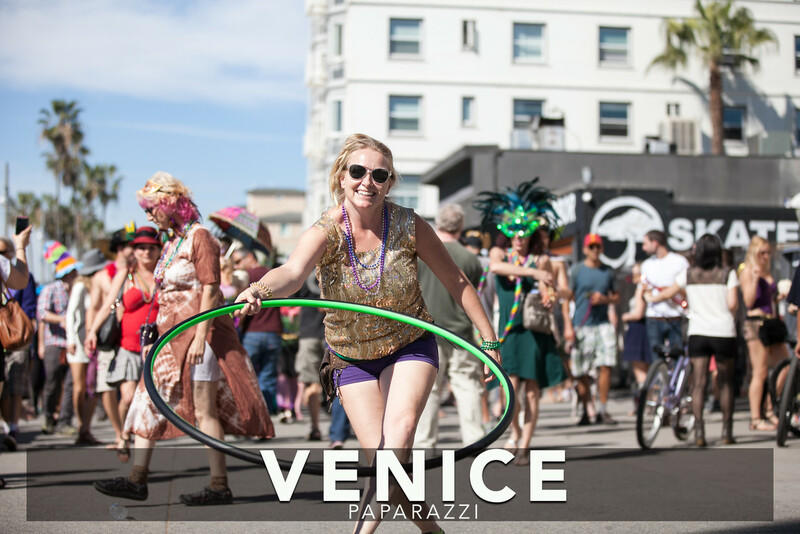 For event updates, check out Venice Beach Mardi Gras on Facebook!